A special Christmas service is being held at Liverpool Pier Head in dedication to more 50,000 seafarers who visit the city port each year. 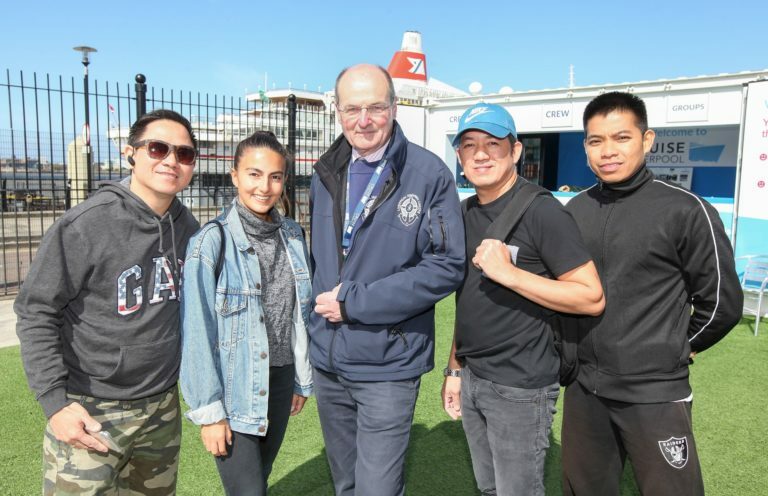 Liverpool Seafarers Centre CEO John Wilson said the service will act as a poignant reminder of the immense sacrifice made by seafarers working around the world. “We are appealing to members of the public and those working within the local maritime community to join us for this special Christmas service,” he said. “It will provide a unique opportunity to pay respect and thanks to an otherwise invisible army of men and women, who battle all conditions around the world to sustain our way of life. Christmas is often seen as a time of over indulgence when we shower each other with gifts to show our love and appreciation. We should all take a moment to reflect about how many of these gifts first made it here and offer a prayer to seafarers around the world for their sacrifice to allow us this pleasure. Seafaring can be a lonely and isolating job yet the simple fact is without their total dedication, as an island nation, we would be stranded without many essential items. “Liverpool has a deep-rooted connection to the sea,” said Mr Wilson. “It has been the source of great fortune and prosperity for our city and has further contributed to our worldwide reputation as a passionate and friendly port city. While we will be honouring the work of seafarers at our special Christmas service, it is also an opportunity to unite as a community to celebrate and sustain our city’s proud maritime heritage. Liverpool Seafarers Centre’s roots date back to the 19th century and is a partnership between the Catholic Apostleship of the Sea (Liverpool) and the Anglican Mersey Mission to Seafarers. LSC is funded by donations from the churches, we well as general donations and a new port levy on shipping lines. LSC provides support to 50,000 seafarers passing through Liverpool each year and is headquartered at Colonsay House in Crosby and opened a new centre in Eastham on Wirral opened in 2017. LSC centres provide ‘a lifeline’ to seafarers, offering a safe and secure place to rest and also receive practical and emotional support. With 95 per cent of British imports and exports transported by sea the UK is dependent on seafarers. Corporate supporters of LSC include: Essar’s Stanlow oil refinery in Ellesmere Port, Peel Ports, the Merchant Navy Welfare Board, the Mersey River Pilots, Mersey Maritime, the Voluntary Aid Club and The Phoebe Wortley Charitable Trust.